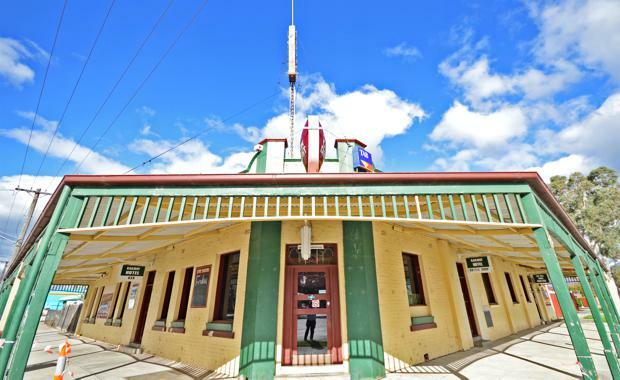 A classic corner pub and motel at the gateway to Victoria’s high country is on the market and is expecting interest of around $1.2 million from hotel industry operators and newcomers alike. Colliers International’s Pat Connolly and Guy Wells have been appointed to sell The Railway Hotel at 24 George Street in Heyfield. “The Railway Hotel sits on a busy corner on Heyfield’s main street – it offers a classic corner public bar, ample dining and function facilities commercial kitchen and a kids play area,” Mr Connolly said. “To complement these facilities, a recently constructed motel component offers an operator the opportunity to also build a steady accommodation income. The Railway Hotel sits prominently on the corner of George and Pearson Streets in Heyfield, around 206km east of Melbourne. Situated at the rear of the property are nine recently constructed motel units, an operator’s residence and hotel car park. Located on the Thomson River, Heyfield is a gateway to the Victorian High Country and has a population of around 2099. “The property is approximately 1,812sqm in size and is zoned Commercial 1," Mr Wells said. While offered for sale with vacant possession, the hotel has a current general liquor licence until 1am and is ready to trade."